I love it as a skirt and if you wear it more then it is definitely the right decision! There is no point having items in your wardrobe that you won't wear. Great idea with the poppers. PS, I can't take credit for the popper idea, as By Hand London suggested it in their sewalong! 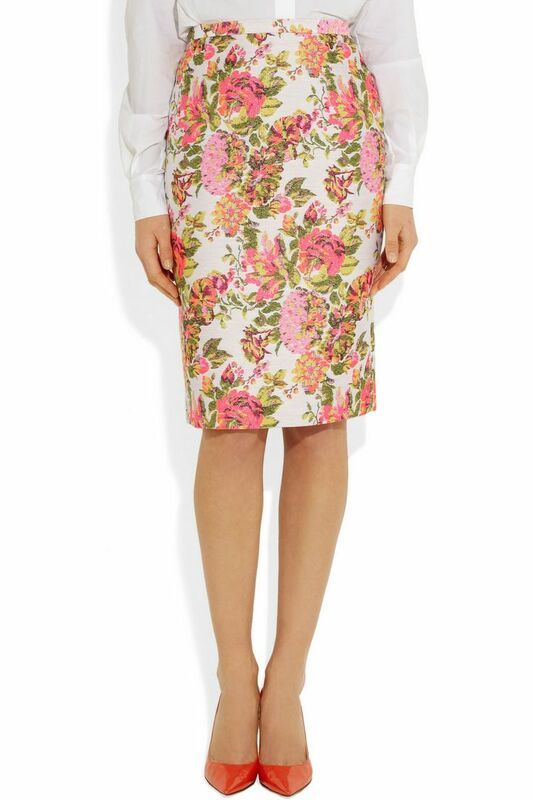 Your skirt is gorgeous, it is much better to have an item you will actually get wear out of! I am about to do the same to a dress I made out of the wrong material so doesn't fit properly! Thanks! I hope yours works out as well. I hate waste, so I was really pleased to be able to do something with this. You made the right choice-- turning something you weren't crazy about into a new favorite is awesome! I bet you'll wear this lots (after you make a few more cute tops, especially)! Thanks Ginger - and thanks for visiting and commenting! I think and hope you're right about wearing this lots! Good choice. I always find that taking the time to revisit a project I haven't been 100% happy with is always totally worth it even though sometimes it means removing or redoing something. Plus your experience with this dress means the next time you go to make it you'll probably be a lot happier with the fit. It's a win win. Thanks! Sometimes the thought of going back to something is worse than the reality. Plus it can be a bit soul destroying undoing hours of your own work. But it always ends up good in the end! And yes, I hope my next Elisalex is much more successful. It looks great as a skirt! Definitely worth taking the dress apart if you're going to get more wear out of it as a skirt. I love all the colours in this fabric - plenty of choices for making tops that go with it! Thanks Kathryn! 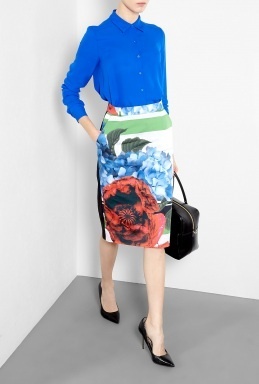 I'm thinking maybe a blouse in a silky fabric in the royal blue colour that's in the skirt? I think that would look really nice. Oh, well done you - it looks fantastic! And you certainly haven't let anyone down - after all, the whole point is to end up with something that YOU love and want to wear. And I'm willing to bet this post will help someone else through a "what do I do now?" dress dilemma. Great decision - and brave, given all the work you'd put into it! And maybe you'll even come up with a way to redo/reuse the bodice at some stage! Thank you! Hopefully this will help some others. It's a bit if a leap of faith, as is any refashion, but luckily this one worked out for me. It's gorgeous! I think you made the right choice, especially if you feel that you'll get more wear out of it. It looks gorgeous as a skirt, well done for make the brave decision! I have a few I should do this with, but I'm a bit scared. definitely better to have something you love that something that makes you feel guilty when you see it hanging in that wardrobe! good job! Love it as a skirt. I plan on doing this with my Megan Draper dress I did for the Mad Men Challenge. I've never even wore it and I know I'll definitely get more wear out of a skirt. Go for it Shanni! It was nice to make something for the mad men challenge, but it's nicer having something that you'll actually wear. Even better if you can combine the two! Ha ha! I'd forgotten about the post office "challenge". Yes, I absolutely can see myself doing that in this skirt! And yes, I'm glad not to have wasted all of that fabric! I think it's beautiful! Great save for such lovely fabric from a make that you didn't quite love. Good for you! I'm a huge believer in doing what you have to do to make something you're actually going to love. And it's so cute, too! Thanks Jenny. And I do so love it now!